Ever since its opening in Singapore late last year, Japanese discount store chain Don Don Donki has attracted massive crowds and long lines – yes, even at 1am in the morning. Here are some reasons to check out their new outlet at 100AM, which spans across 1186 sqm of floor space. The new outlet features a “mobile food corner” on the third floor, where visitors can have their fill of Japanese snacks such as Takosen (takoyaki balls served Mexican taco style), Japanese sweet potatoes and Hokkaido milk gelato. Prices are pretty reasonable too, ranging from $1 to $5.90 a pop. 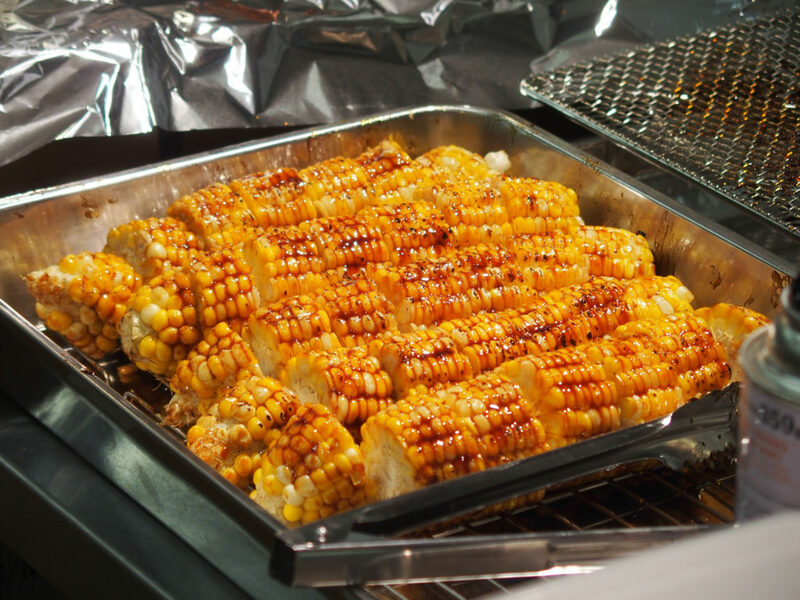 If you prefer to cook your own meals at home, Don Don Donki is actually a great place to stock up on groceries and fresh ingredients. 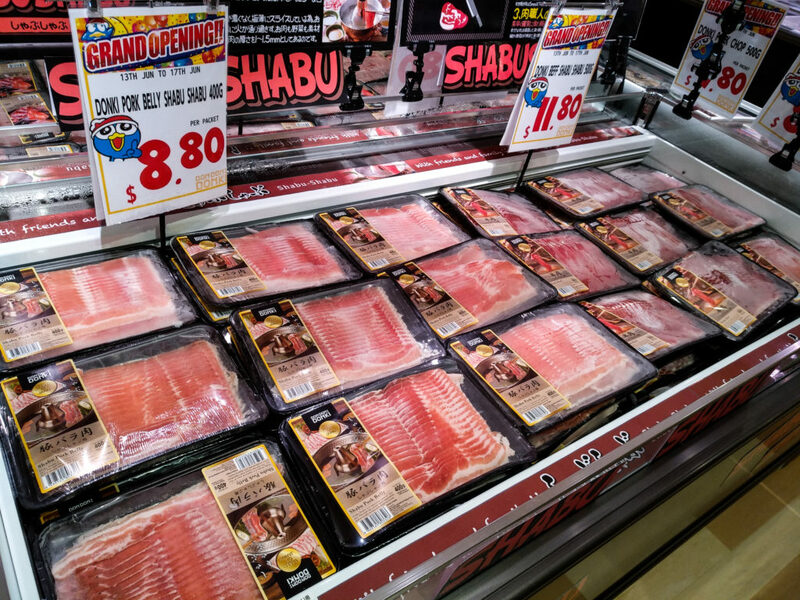 The grocery section has a selection of fresh meat, Japanese vegetables, fresh fruit and seasoning options – all at competitive prices, of course. Can anyone say shabu shabu party? Now, who can resist a box of Tokyo Banana or Hokkaido Shiroi Koibito Biscuits? 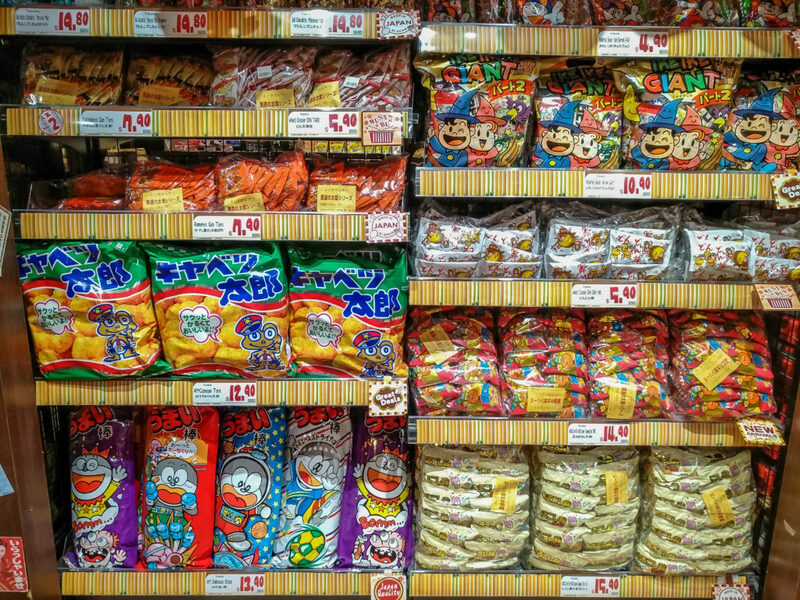 Even if you’re not headed to Japan anytime soon, you can still get your snack fix here in Singapore. 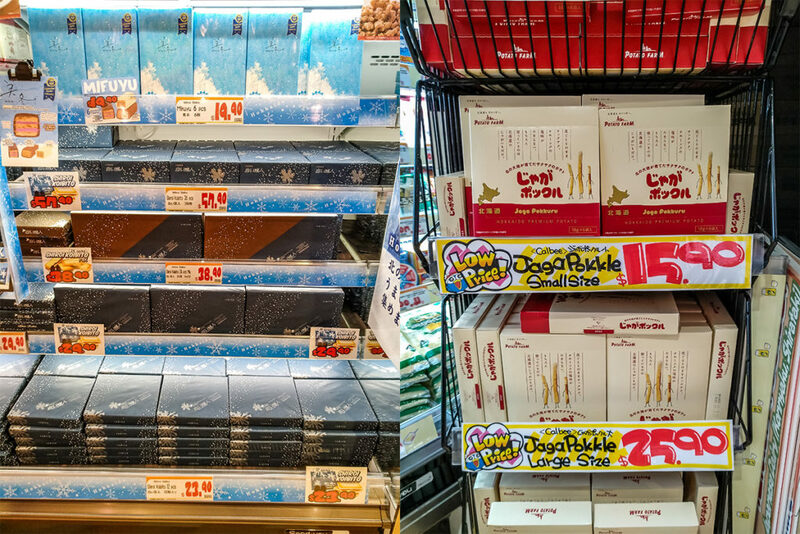 Don Don Donki has brought in a selection of popular snack souvenirs, such as the Hokkaido Shiroi Koibito Biscuits, Jaga Pokkuru potato chips and more. Don Don Donki is a haven for those prepping party packs, and the new outlet at 100AM definitely doesn’t disappoint. From individually-packed snacks to fun knick-knacks, there are plenty of inexpensive goodies there to fill up your party packs. Even if you don’t understand what the packaging says, the cute illustrations will still get people ooh-ing and ahh-ing. If you want to score the latest Japanese snacks and drinks (because, Instagram), Don Don Donki may be a good place to start. 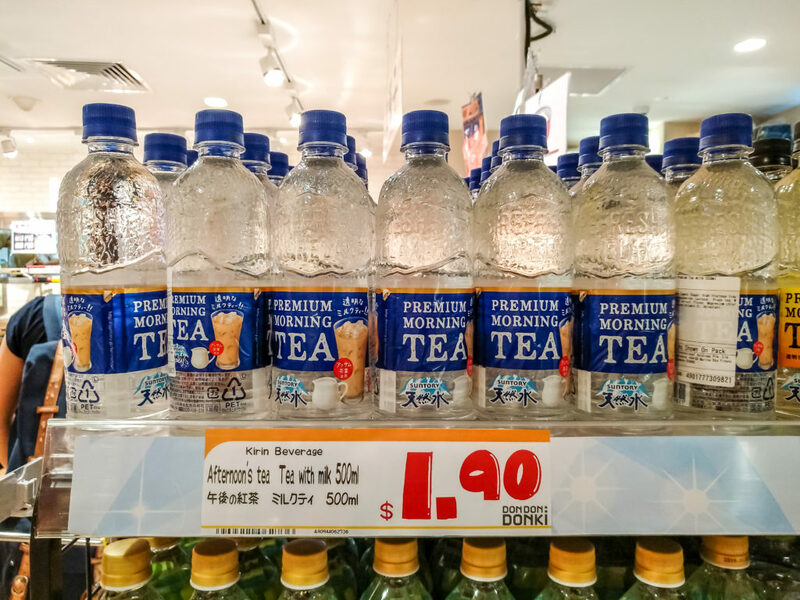 The drinks section currently stocks Suntory’s popular transparent milk tea series (among many other cool beverages), while the snack section is a treasure trove of classic flavours and quirky new offerings. Don Don Donki is known for its impressive range of Japanese beauty products, but the 100AM outlet focuses more on practicality rather than novelty. Besides yoga mats and gym balls in colours aplenty, you can also find facial masks, makeup and supplements at the new outlet. 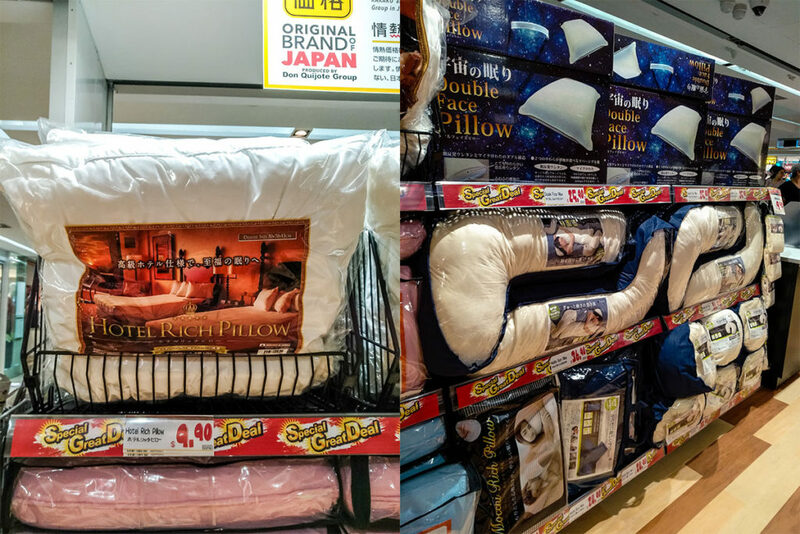 While the Don Don Donki outlet at 100AM does not stock electronics, pet accessories and wigs, they do have a bedroom furnishing section that has affordable and high-quality sheets, pillows and more. 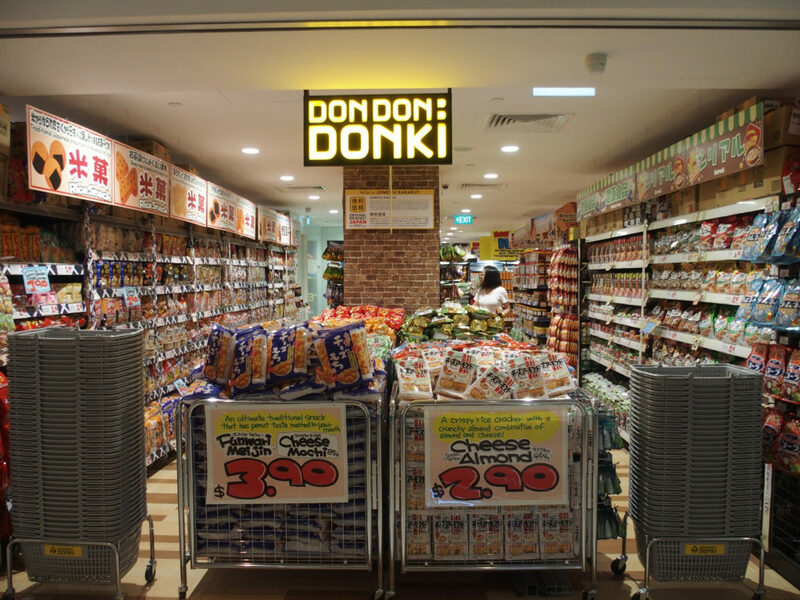 Although Don Don Donki @ 100AM has a smaller range of products, it is still a great alternative if you want to avoid the crazy crowds at the Orchard Central outlet. It is also worth noting that that staff at the 100AM store are much friendlier, and are often scattered around to answer any queries you might have about the products.